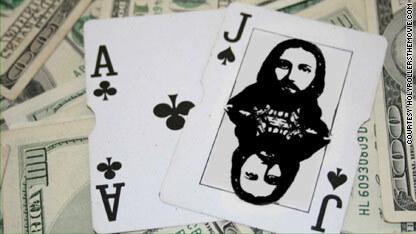 I have tried to imagine Jesus in a casino playing cards to win bundles of money. I can't seem to do it. I think these guys are either not serious about following Jesus' example or have no clue what that means. They are simply trying to justify greed. Good luck. The ONLY was to make a living at any form of gambling is to seek out a clear and unequal advantage over your opponent, and exploiting that advantage. Casinos do it by making the odds in their favor – professional poker players do it by only playing people they know they can beat. Knowingly taking advantage of another person's weakness is unethical, by any real standard. Wouldn't your definition of gambling apply to any sport? Consider boxing. If one boxer's eye begins to swell and his vision is hampered or limited from that side, what side of that boxer's head do you think his opponent is going to concentrate his attack? Wouldn't his opponent have an advantage? Right – the cut eye becomes a weakness – a weakness that wasn't there at the beginning of the match – and it's something that the ref keeps a look out for, and ends the match when the weakness cannot be overcome. These are the sort of people who give church a bad name. When they are concerned about you, that translates to gossip. Have a look at the website: http://www.holyrollersthemovie.com/ It is a racket like get rich via real estate seminars. And yes, they have other "ministries"; predators have these things by the dozen in any large church. Do not blame these monsters on Jesus. Look at his words not the trash that is preached by people getting rich by pretending to minister. That web site is just an ad selling DVDs. To smeeker: the site is selling a whole program. Their advertising video has all the stuff from which this "news story" was cut. It shows more about these people including them giving training courses and other "ministerial" activities. To smeeker: the site is selling DVDs about the racket. You do not have to buy the DVD to see their advertising video on the site. That free advertising video is same video from which this "news story" was cut. It shows more about these people including glimpses of them training courses and other "ministerial" activities. It even reveals that "non-Christians" are included in their teams. everyone has skeltons in there closet! Card counting is not cheating nor gambling. It's essentially a math problem. There is nothing hypocritical about a Christian card counting team unless it's hypocritical for a Christian to use math, logic and formulae in which case what would you call Sir Isaac Newton or Copernicus. Of course Jesus wouldn't like card counting. He was definitely a Texas Hold 'em poker guy. He was very successful, because he didn't have any "tells." He was famous for always being "all in." These are the sort of people who give church a bad name. When they are concerned about you, that translates to gossip. Have a look at their website: http://www.holyrollersthemovie.com/ It is a racket like get rich via real estate seminars. And yes, they have other "ministries" the predictors have these things by the dozen in any large church. Do not blame these monsters on Jesus. Look at his words not the trash that is preached by people getting rich by pretending to minister. HOW in the world is "Jesus" relevent in any way in 2012?....Why bring his name up?.....it isn't even a historical fact that he even existed. Who cares what "Jesus" would have done.....it's time to grow up and put your big boy pants on...and put down the mother goose fairy tale book. I hate to dispute you, but do not want anyone reading these comments to be misguided by you. You do know that only a few extreme historians believe Jesus didn't exist. It is proven in history that Jesus did live and was public ally executed. These are facts in history, so please know your facts before you just regurgitate incorrect facts told to you by incorrect people. @TimWilson – Sorry, but you are incorrect. There is absolutely no independent evidence that Jesus even existed besides one small mention in the writings of Josephus, and that is even in doubt by some scholars. But I will grant you the point that a man named Jesus may have actually existed and may have even been crucified by the Romans. But if so, he was a martyr. And as with most martyrs, his life and deeds were blown all out of proportion. It's just ancient mythology. Period. End of story. @Charles Darwin I'm glad you at least know of Josephus as so few people do, but i'm sorry you obviously have not read much of him. Josephus mentioned Jesus life, death, and his disciple's reporting of his resurrection countless times. Now, neither you nor I existed in the first century, so I will accept what someone who lived and was a historian then. So, stop downplaying certain historians that, "one small mention in the writings of Josephus, and that is even in doubt by some scholars." He was mentioned many times over and over, and very few scholars are in doubt. He was an accurate historian from the first century C.E. Tim Wilson: "Josephus mentioned Jesus life, death, and his disciple's reporting of his resurrection countless times." Countless? Do you call TWO times countless? Besides, Josephus was only reporting what the members of this new religion *claimed* about Jesus. He was born after the man supposedly died. Josephus was a Jew, and remained a Jew until he died. Don't you think that if he thought that this Jesus was really "God", he would have joined up with the believers? TimWilson: They are absolutely NOT facts of history. Sorry to disappoint you. I am actually very well versed in Early Christian history as well as the creatkion of the Bible. You get your facts straight. Education is the key to combat ignorance. What history books have you read, have you ever read Josephus?, he mentions Jesus. I cannot prove to you whether Jesus was divine or not, but the fact that he existed is recorded in history, for you to deny that is for you to just deny recorded facts. Why trust any history then. By the way, I find it amusing that Joseph and Charles Darwin keep arguing their opinions. They are not presenting facts in their arguments. If you want a good argument, start using logic and facts; not your opinion- that's called politics, not theology. What is it about stories that have a religious overtone attract those who claim to hate religion. Why would people subject themselves to that which causes them anger and an excuse to belittle others. What is it that causes people to search for places where they find a dishonest way to place themselves and their intelligence above others? Thios answers will not be found here becasue they lie deep within the individual who believes the outside world and other people are the source of their chosen discontent with life. Good like guys. Christians wrote the book on belittling others. If you're not a Christian, you'll be tortured FOREVER in a burning hell. (nice guy your god). If you're gay, you're a pervert and will be tortured forever in a burning hell. If you use birth control, you'll be tortured forever in a burning hell. What is wrong with people that they accept ridiculous old myths as fact??? The answer is simple – it is the same reason that people in the Peace Corps go places where there is famine. Those of us who consider religion to be a terrible negative thing for the world come here to fight evil. If religion didn't actively make the world a worse place, we wouldn't go out of our way to fight it. Unfortunately, it does. Charles and Jake are confusing is and ought. Just because something "ought" not be doesnt mean it isnt. That is a very immature and childish way to look at the world. I dont like war either but does that mean it doesnt exist? Marrisa: We are doing this to help protect our children and the next generation of children. They are our future. They need to be protected and educated so they don't fall victim to this indoctrination. The central story of Christianity is built on a lie and it grew from there to the primitive, childish, negative, harmful fairy tale we have today. The truth is important. A world view should not be built on a lie.....btw I am not an atheist. You don't have to be an atheist to know Christianity is a man made myth. Yet another swipe at Christianity by the liberal elite who run CNN, where anti Christian bigotry is not only supported, it is also encouraged. How do you figure? The article was written by the Christian man who describes himself as part of a Christian, church-going band of card counters. He talks about examining the role of his faith in his career choice. How is that in any way liberal or a product of the CNN media? If anything, the opposite is true. It seems like lately CNN has made it their mission to push Christianity on their readers through their religious blog. This isn't news, it's blatant promotion of ancient myths as fact. I guess they realize that most people in America believe in this nonsense so they feel like they should pander to them to get more readers. Don't you think it's about time people fought back against Christianity? We have children to think about. How to prevent our vulnerable kids from being exposed to this ignorant, primitive indoctrination. We have to fight back it's the right thing to do and moral thing to do. I am NOT an atheist by the way but I and millions of others know Christianity is a man made mythology. This man is no more a hypocrite than any other wealthy Republican Christian. It's hardly CNNs fault that 99% of Christians don't follow the teaching of Jesus. We should be happy, because the 1% that do are crazy as they come. @Joseph – Exactly. And also, the evangelical crowd want to force religion on you and your children through legislation. They want to bring back school prayer so they can indoctrinate your kids in the classroom. They want "Intelligent Design" taught in schools. (Unintelligent Design would be a more appropriate description). They want to put religious symbols; 10 Commandments, nativity scenes, etc. etc. in government buildings. They have to be opposed at every opportunity. I have met too many hypocrites who spout their born again BS to count. Talking about Satan one minute and cheating on their wives the next. But, hey, it's okay, I am not perfect, just forgiven, they say. This story reeks of their ability to justify anything. Good thing the casinos didn't catch them, they'd be talking to Jesus in some back room, crying out for help. Jesus loves money. Watch one of his ministers in action. The greed is revolting. Religion – the opiate of the ignorant masses. I guess if the guy who said that "it's easier for a camel to pass through the eye of a needle than for a rich man to enter heaven" is ok with Rick Warren, megachurches, and the pope wearing gold vestments with prada shoes, then what's a little card counting by the average Christian hypocrite? Ha ha, it makes perfect sense that people who are stupid enough to gamble in casinos are stupid enough to also believe in ancient mythology. Am I to believe that someone like you, a person who comes to insult the beliefs of others, is so intelligent? Despite the best in atheistic scholarship, I continually see them getting their @$$es handed to them in debates with the Christian apologist, William Lane Craig. Might want to research things before you spout your mouth off and look foolish. Ah, the act of inflating ones intelligence level through the use of the word 'stupid'. If that's what you need to feel good about yourself...I'm stupid too. Feelin better yet? I like the phrase "Christian apologists". They should indeed apologize for being so stupid. Winning debates?? HA HA HA HA HA. So, someone who blindly accepts ancient mythology as fact will win a debate over someone who uses logic, reason and objectivity to make an intelligent decision? HA HA HA HA HA. Yeah, right. Whatever. Wanna buy the Brooklyn Bridge? Grow a brain dude. I totally agree. It never cease to amaze me how people can cling to old myths as if they were actually real. Exactly – stone age beliefs brought forward. Total disregard for science, truth and decency. Everybody but them goes to hell. What kind of god is that, anyway, sentencing his own creations to an eternity in hell? A made up god, that's what. Not to say there is not something, or an everything, a mystery, a source, a universal consciousness worth knowing. But Jehovah, killer of his own son, up in the sky, judging us – no, that is a lie. Pity anyone who believes it. William L Criag is an inept dunce, who bends logic into Bavarian pretzels. He blows out the same tired arguments as any other apologist. Think for yourself and don't pretend to know things that you cannot possibly know, not mention have the humility to accept uncertainty. These self serving Christian hypocrites, as is plainly laid out in this piece, shows that they only are concerned with the only reality that matters and that is the one we are in ... here on this planet. AAR..if a gamble is anything less than 100 percent certainty then any person of faith must contend that they cannot say with 100 percent certainly that god exists..or it would not be faith. Therefore gambling and belief are the same. You may feel that the odds are in your favour but that is no more than a hunch . WLC is nothing more than a traveling side show. A seller of cure-all tonic on a talk show circuit. He has nothing more to offer other than being a 'professional' debater. People like Sam Harris, Richard Dawkins and Dan Dennett do actual work, they actually have a reputable profession. Anyway, the veil of ignorance on the faithful is almost ironclad, so I don't suspect to win any points here. Said passage is one of the few judged to be authentic by most contemporary NT scholars. e.g. See Professor Ludemann's conclusion in his book, Jesus After 2000 Years, p. 24 and p. 694. Actually, Jesus was a bit "touched". 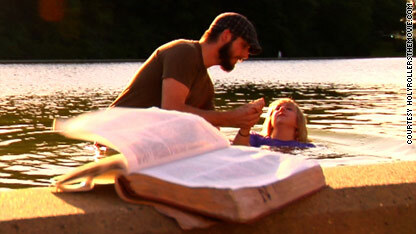 After all he thought he spoke to Satan, thought he changed water into wine, thought he raised Lazarus from the dead etc. In today's world, said Jesus would be declared legally insane. Or did P, M, M, L and J simply make him into a first century magic-man via their epistles and gospels of semi-fiction? Most contemporary NT experts after thorough analyses of all the scriptures go with the latter magic-man conclusion with J's gospel being mostly fiction. Obviously, today's followers of Paul et al's "magic-man" are also a bit on the odd side believing in all the Christian mumbo jumbo about bodies resurrecting, and exorcisms, and miracles, and "magic-man atonement, and infallible, old, European/Utah white men, and 24/7 body/blood sacrifices followed by consumption of said sacrifices. Yummy!!!! So why do we really care what a first century CE, illiterate, long-dead, preacher/magic man or a card-counting follower would do or say? To call yourself a "Christian" is probably a misnomer. People practicing that brand of religion should call themselves "Paulists". Christianity really should be named for The Five Voodoo Doctors aka P, M, M, L and J with their changing of wine into blood and bread into living tissue and the raising of at least two dead people. Funny how these Christians are constantly able to rationalize making lots of easy money when their own holy book says to NOT do that. I guess at these odds, no one can afford to be pious! why do you all refer to the name of the messiah as jesus. have you search what the name of jesus really is? its all a lie! its just another form of control over the people. that isnt even the real name of the messiah in the first place. its a false name. its very wise to study things out and not believe everything you hear. Gambling winnings are dirty money because they take food off of families' tables, clothes off families' backs and mortgage payments that need to be made. It also contributes to people's gambling addictions. Family break-ups occur. Marriages are destroyed. If this fellow believes that Jesus approves of activities that contribute to peoples' destruction, then he does not know the God that I do. One doubts Jesus was a christian. but het the feeling that he was a spiritual man, but slipped when he lost his temper -his human side. Jesus would probably considered gambling a mockery of faith, and I don't mean faith as synonymous with religion. Religions are all mental (based on concepts built from words stored in the mind) whereas faith is spiritual and requires no verbage. If you believe the stories, he took some pretty big gambles with his life...why not his money, too? The problem is that preachers gamble with other peoples' money, never their own.